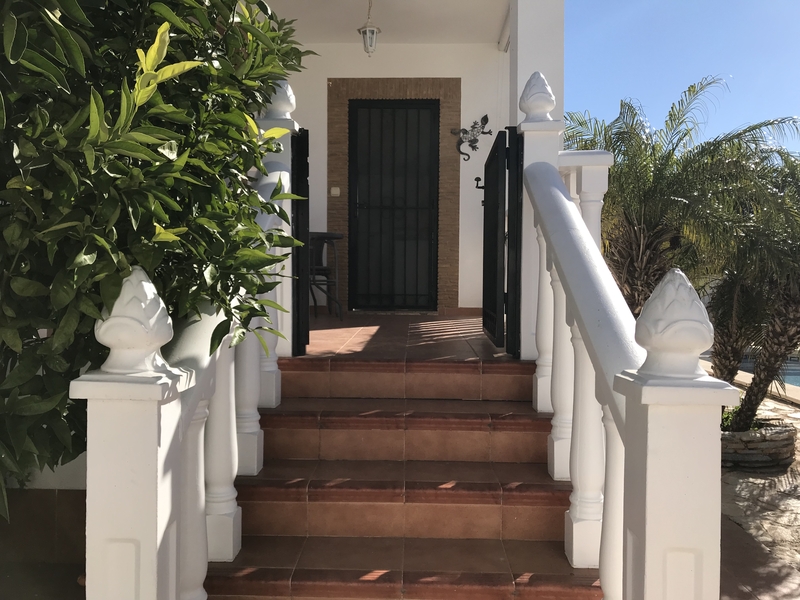 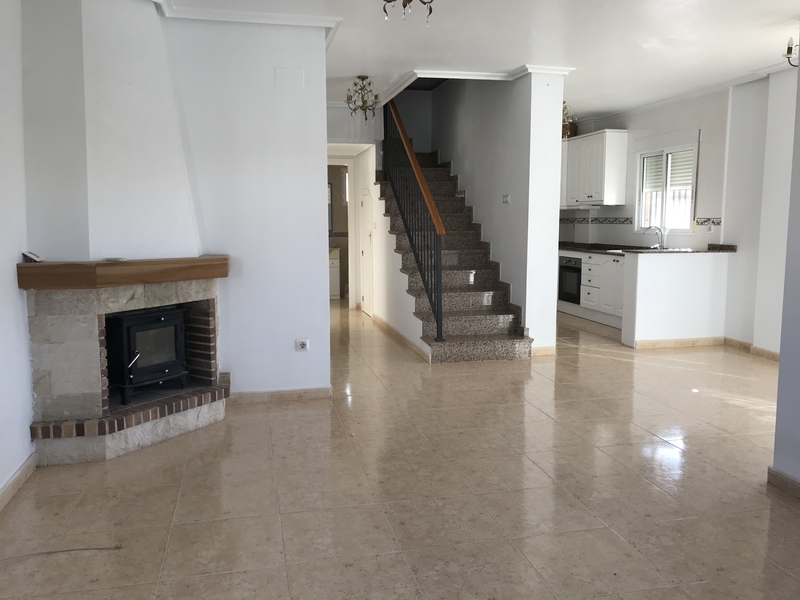 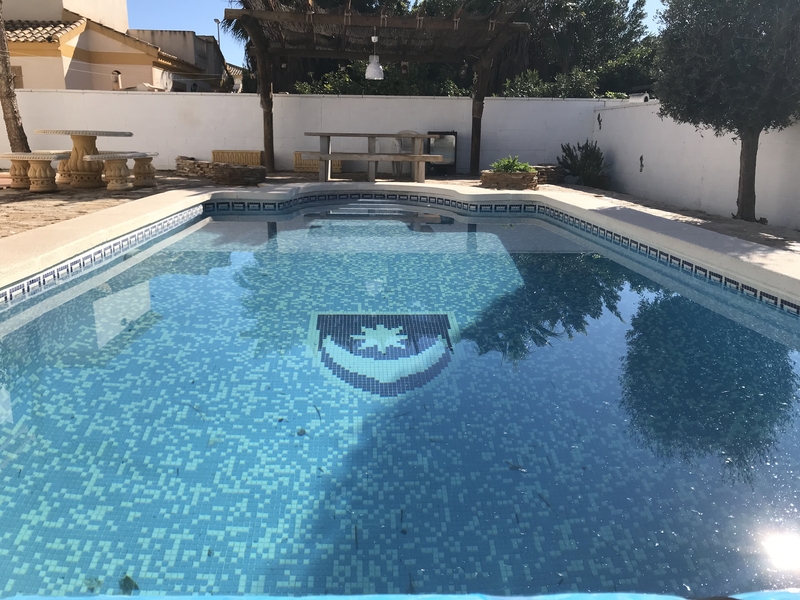 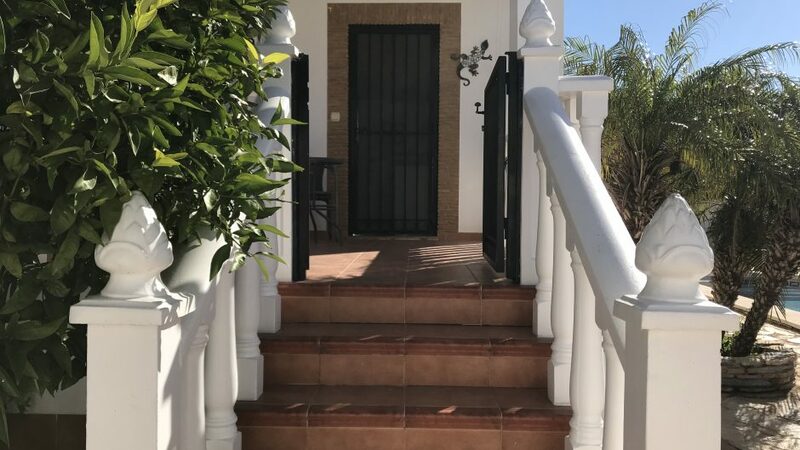 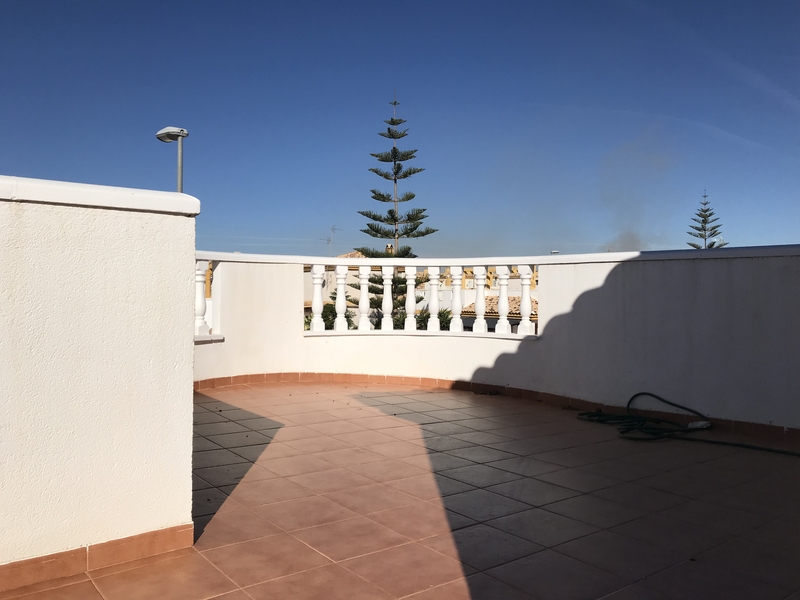 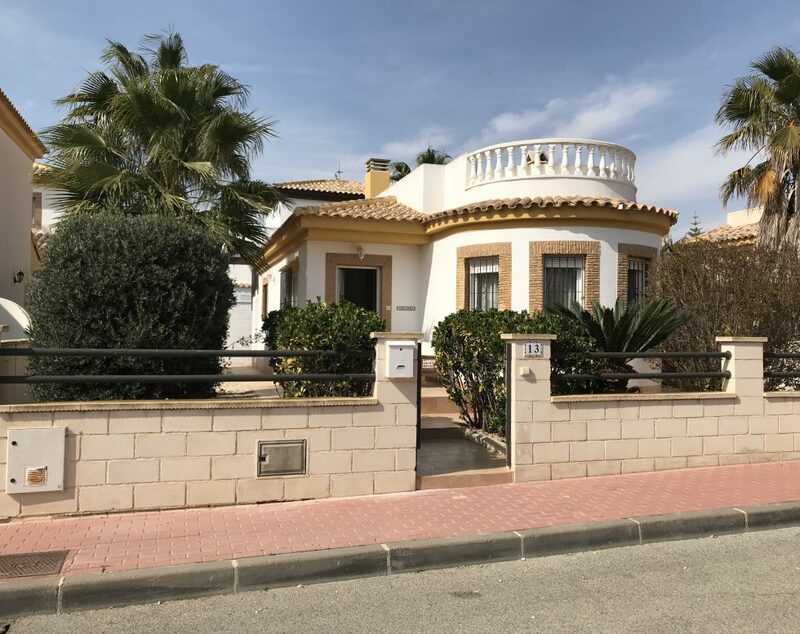 A lovely South Facing 3 Bedroom, 2 Bathroom Detached Villa for Sale located in a great location within a few minutes walk to the popular town of Sucina. 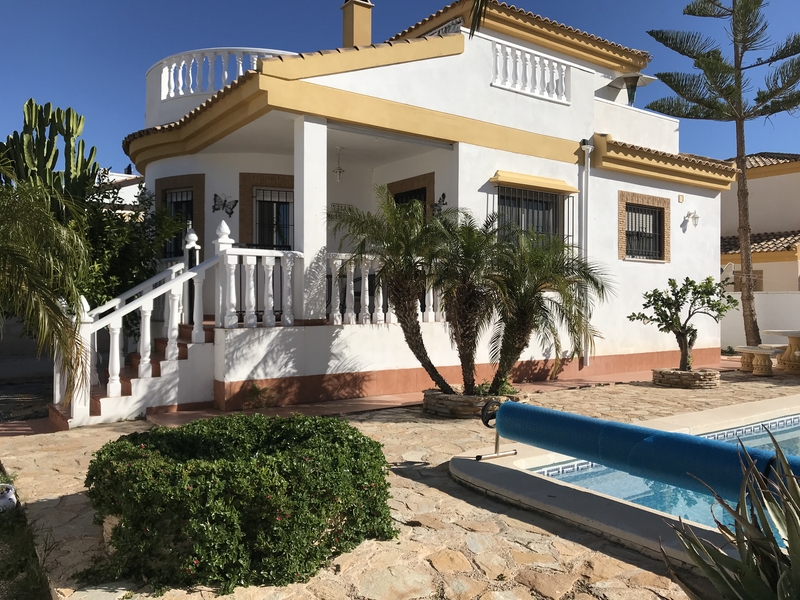 The property is set on a Large double plot giving fantastic outside space and benefiting from a good sized private Swimming Pool and terraced areas. 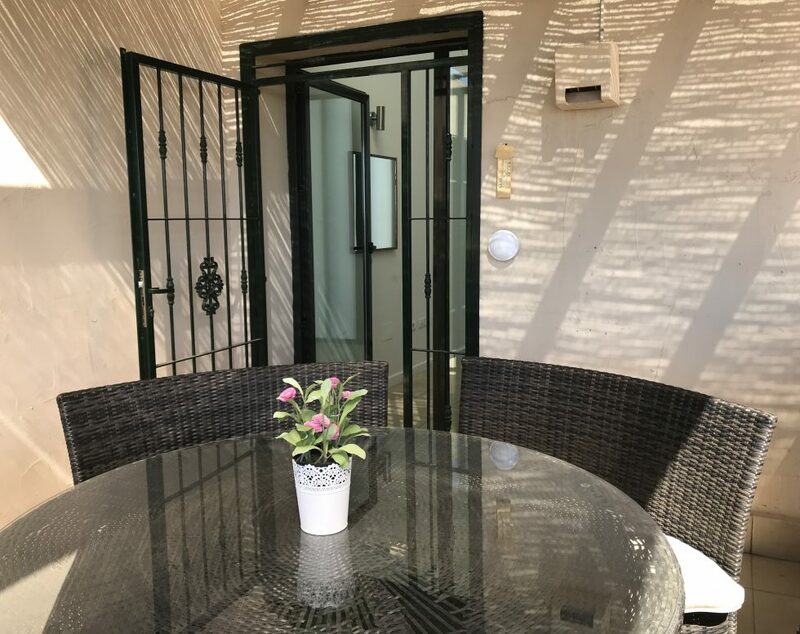 The main porch leads into a good sized open plan Lounge Dining Area with open Fireplace. 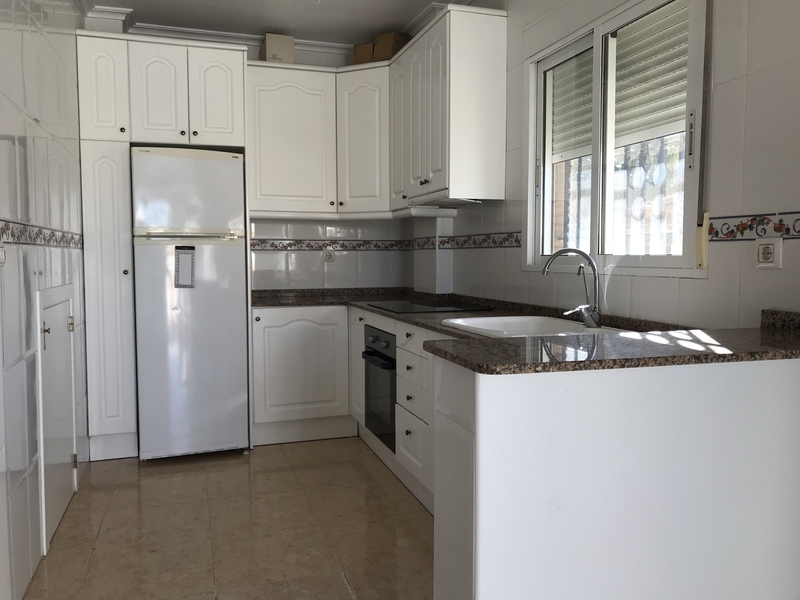 The Kitchen is modern and fully equipped. 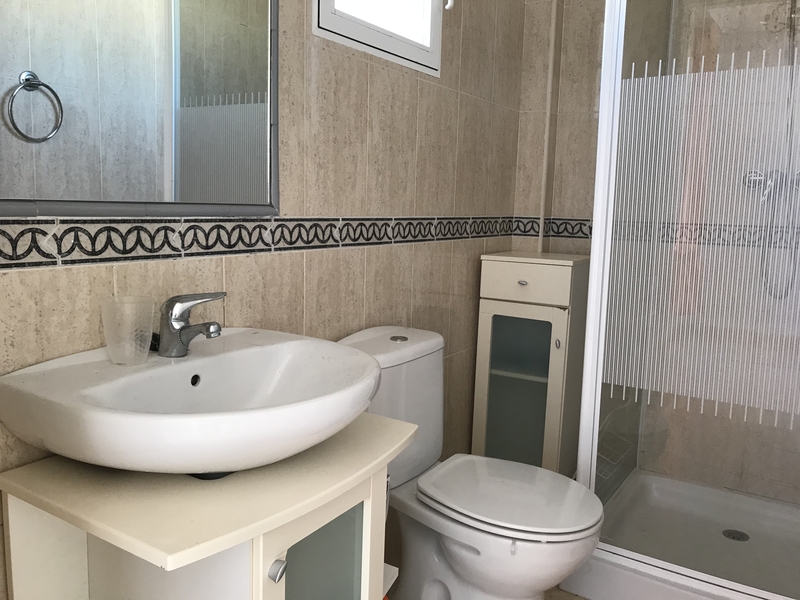 There are 2 main bedrooms downstairs and a family Bathroom and the 3rd bedroom with ensuite bathroom is reached by the internal staircase. 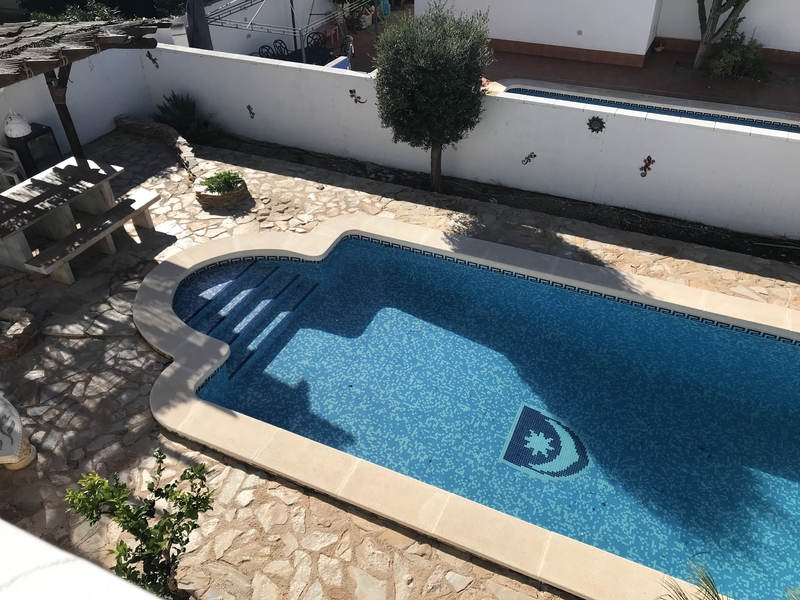 All bedrooms have fitted wardrobes and air conditioning is fitted throughout the property. 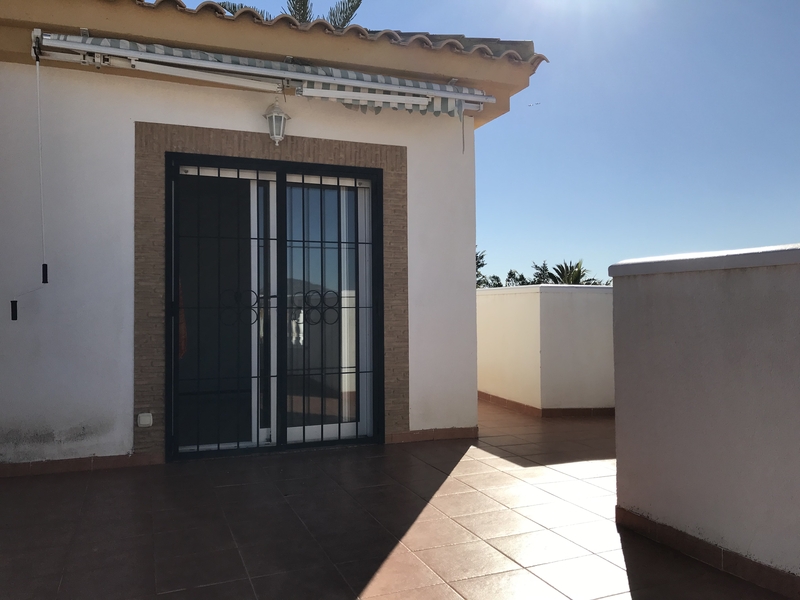 The 3rd bedroom also benfits from a large solarium, ideal to soak up the Spanish sunrays. 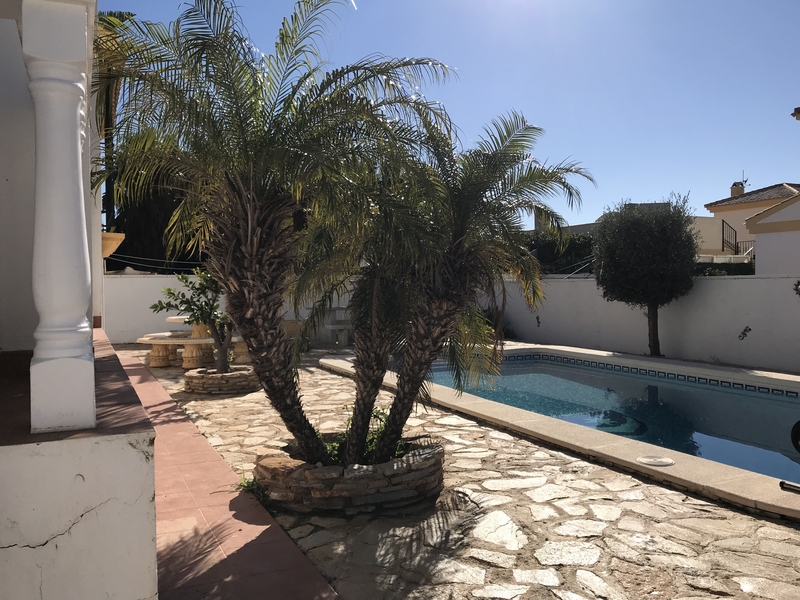 There is off road parking to this Villa and the garden is easy to maintain with most of the outside space paved with mature plants set around the Garden areas. 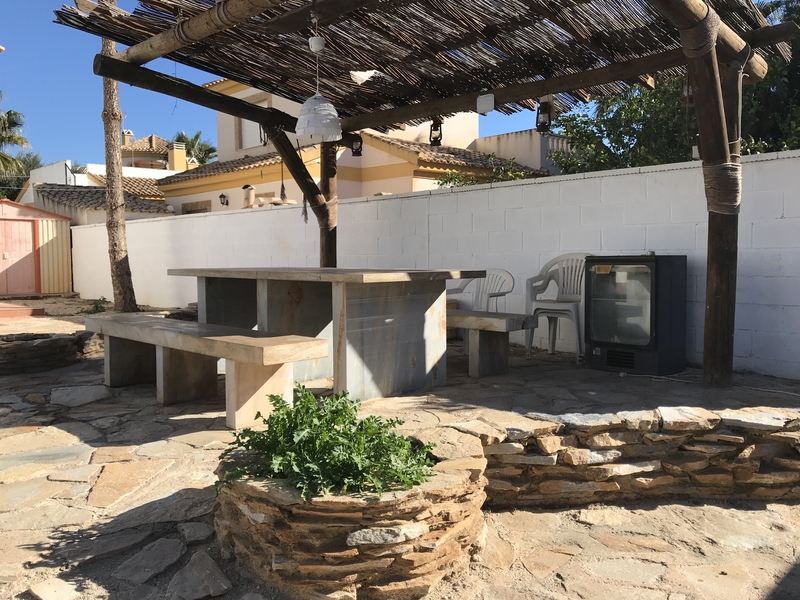 The fantastic swimming pool area also benefits from a covered terrace and dining area. . 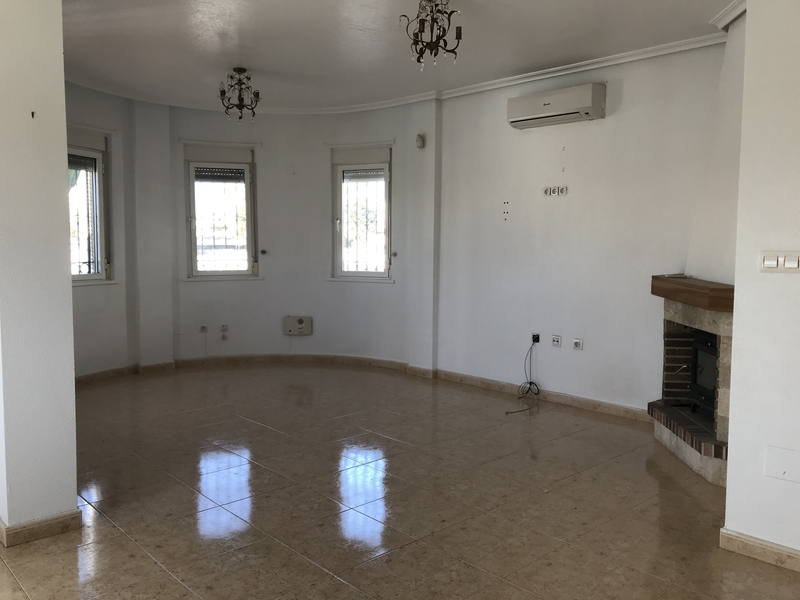 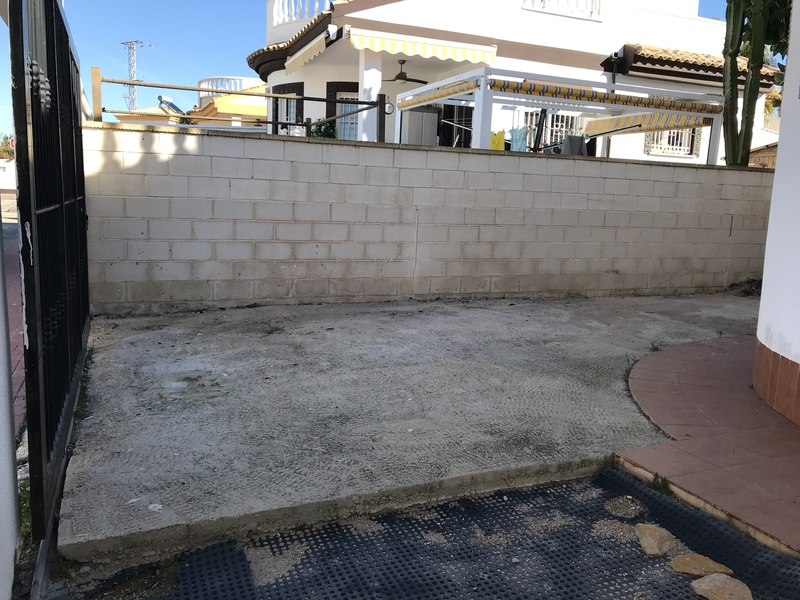 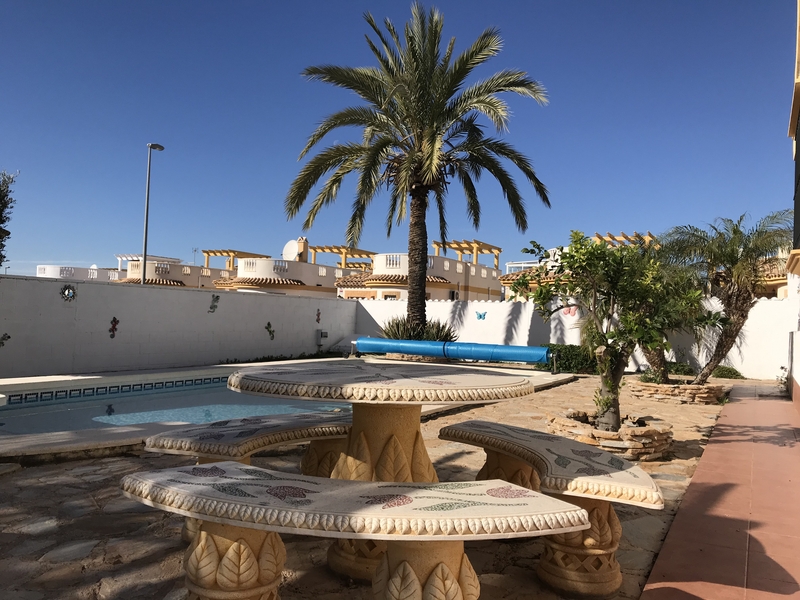 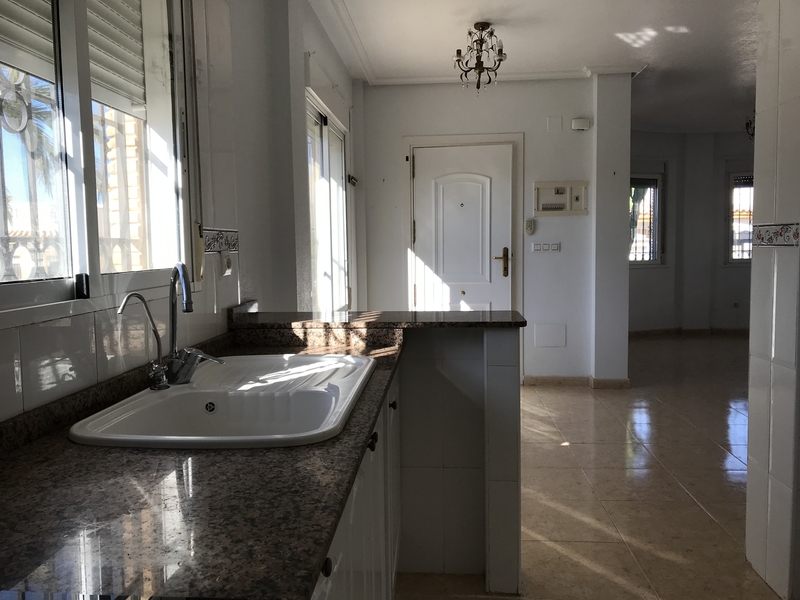 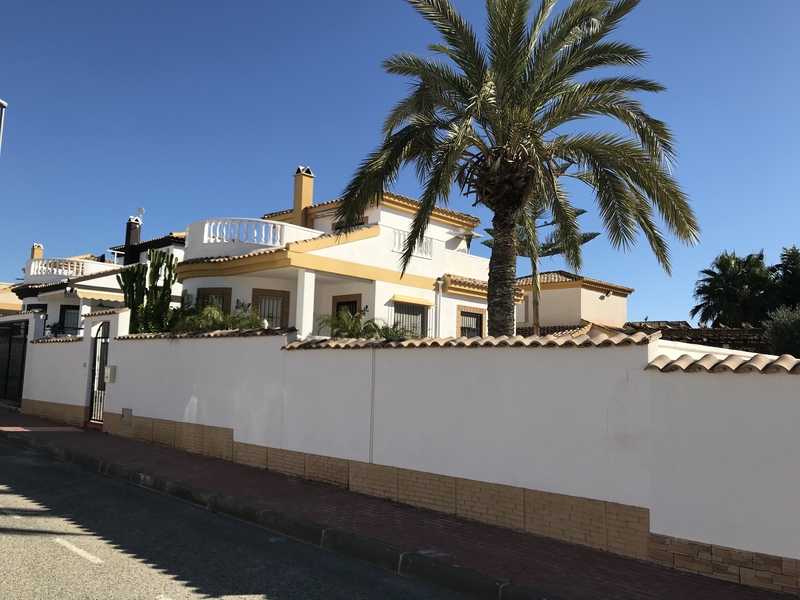 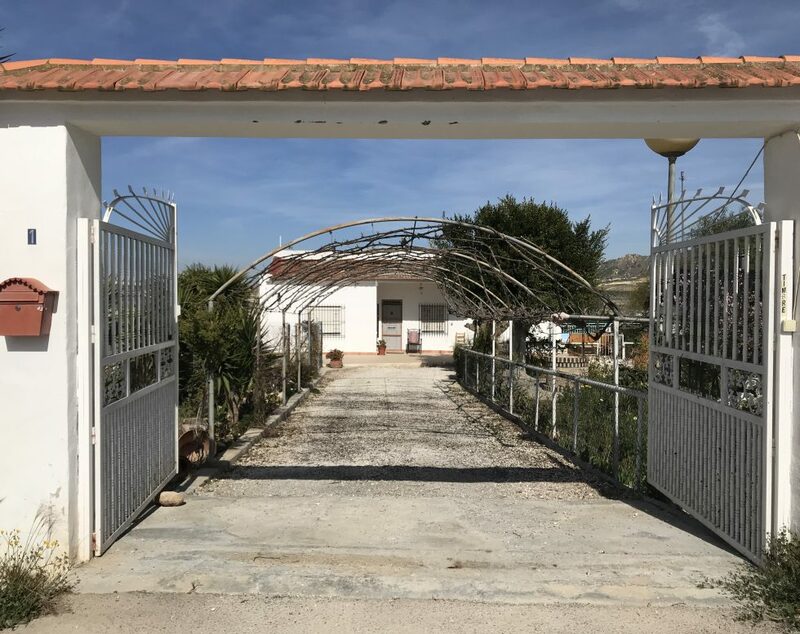 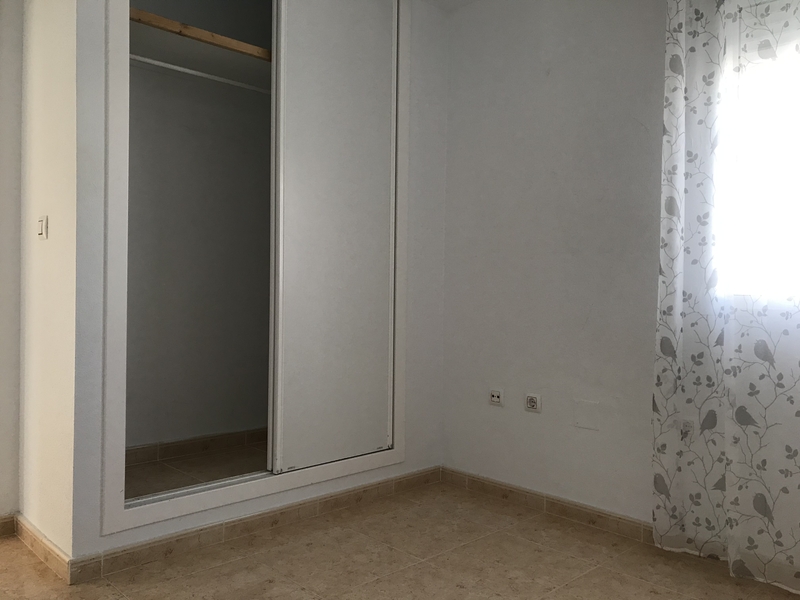 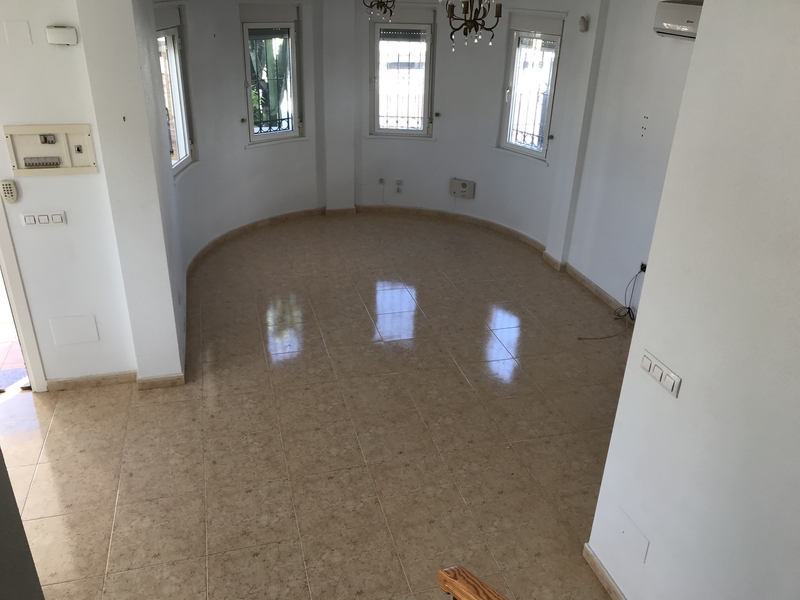 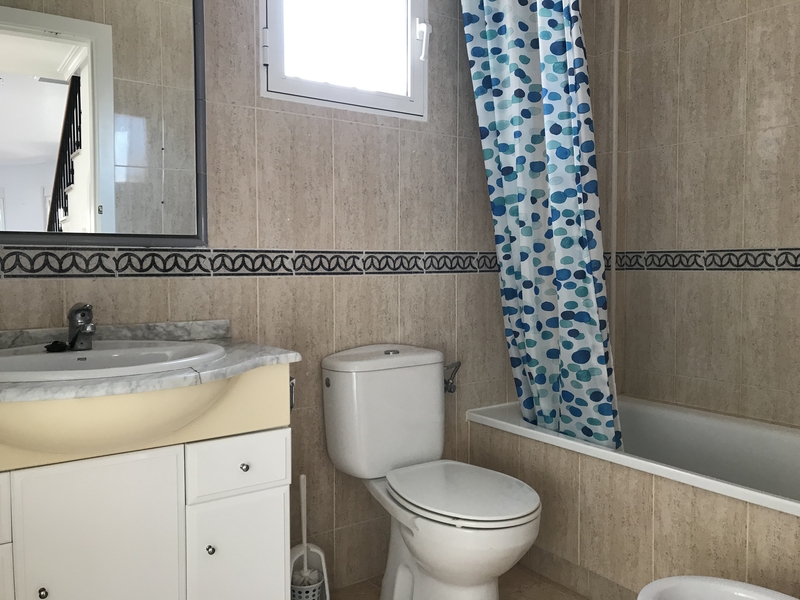 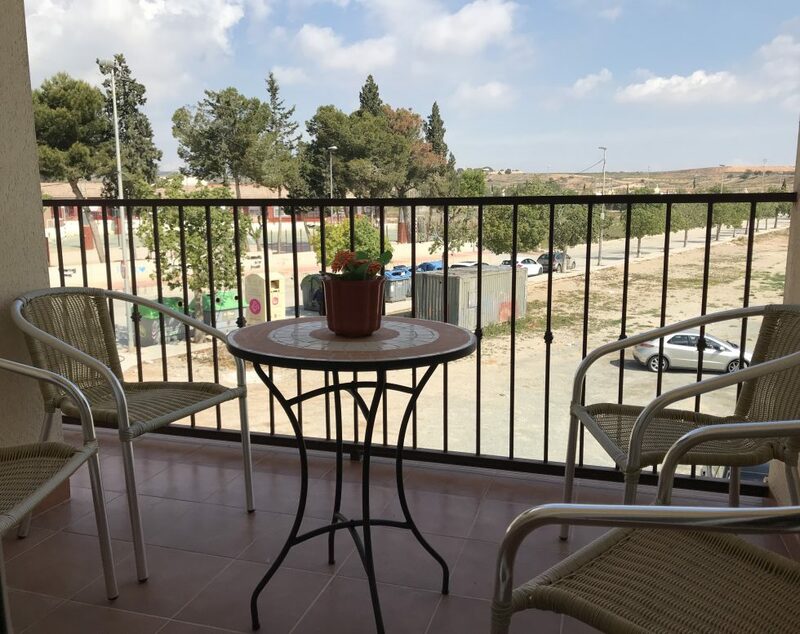 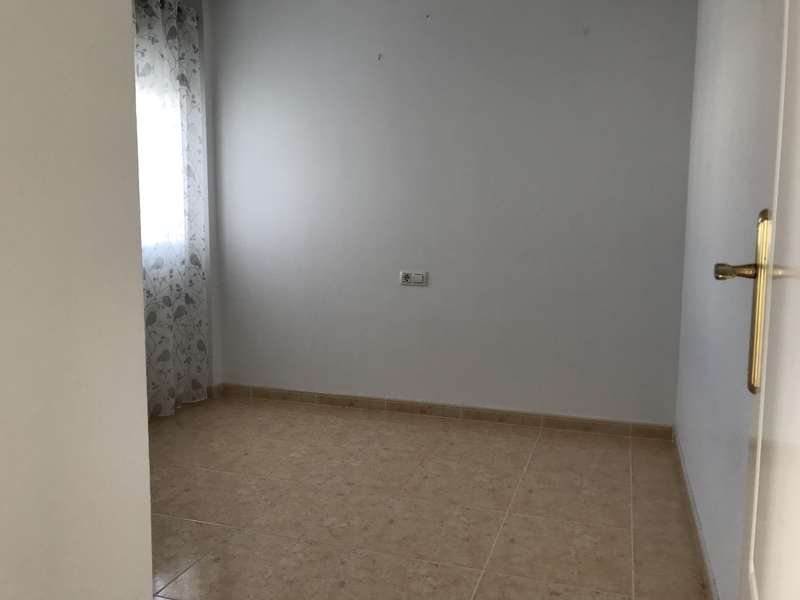 The Property is just a short walk from the Village of Sucina which offers a great selection Restaurants and Bars, a Medical Centre, Shops, Banks, Pharmacy and a local school. 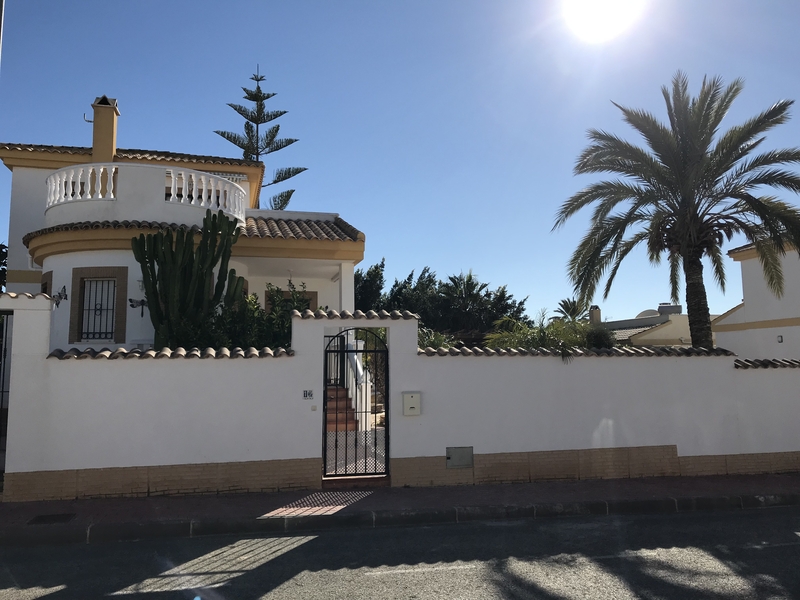 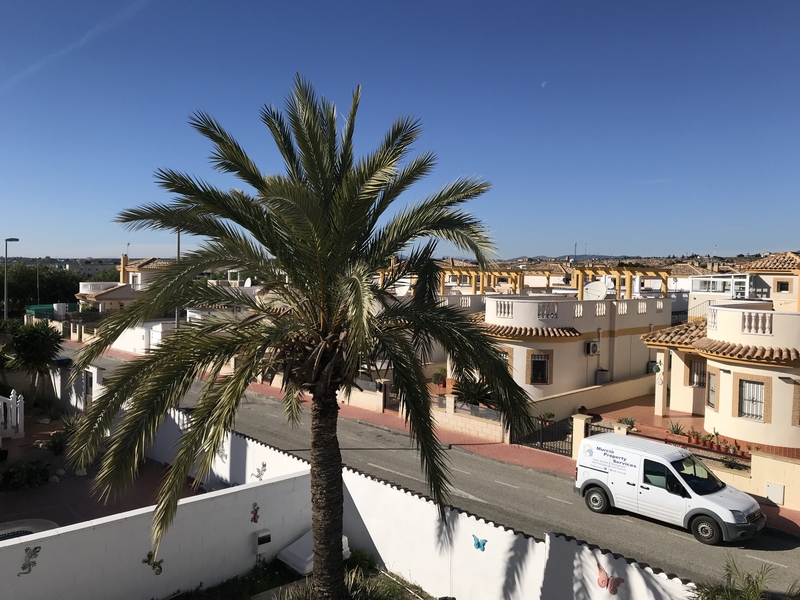 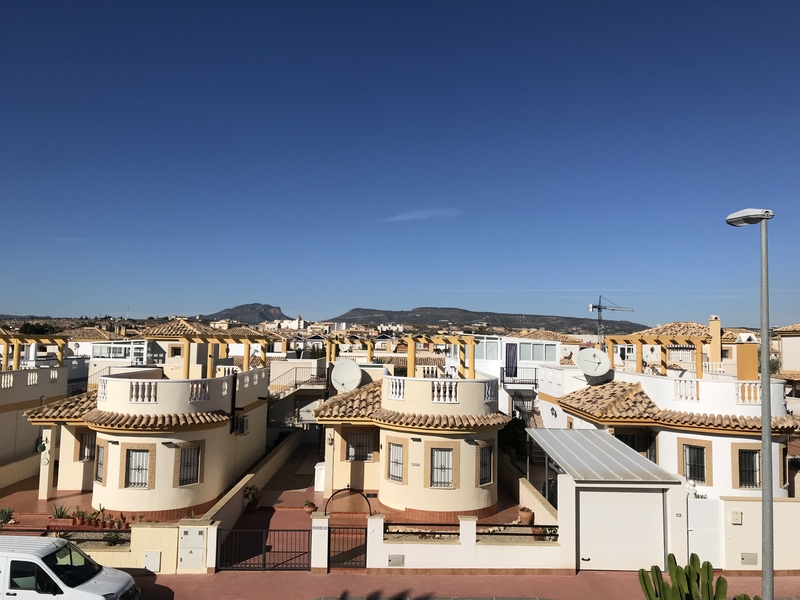 It is also only 15 minutes drive to Mar Menor which offers some great Beaches and also the new Corvera Airport is approximatley a 25 minute drive. 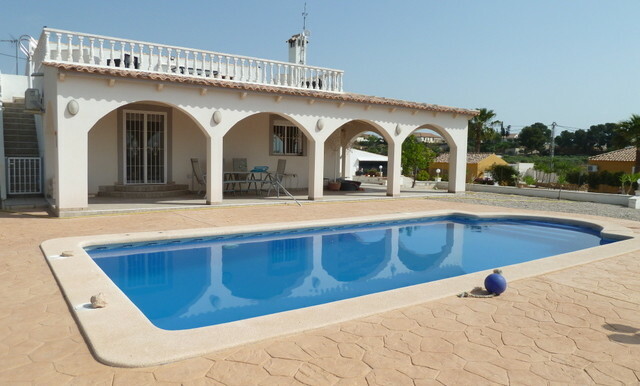 Cartagena and Murcia are less than 45 minutes drive away easily reached by motorway.